When you want to buy shares in a company and you don’t want to sound like a doofus, you use the ticker symbol that it’s listed under. Ford is simply F, Microsoft is MSFT, and a random French bank is CRAP. When Ferrari goes on sale on the New York Stock Exchange in just a few weeks, it’ll be under RACE. New Business Netherlands, soon to be re-named Ferrari NV because the Italian company listing on an American exchange is a Dutch company mostly for tax purposes and DON’T ASK QUESTIONS ABOUT IT, shared the anticipated listing symbol in its prospectus filed with the Securities and Exchange Commission. 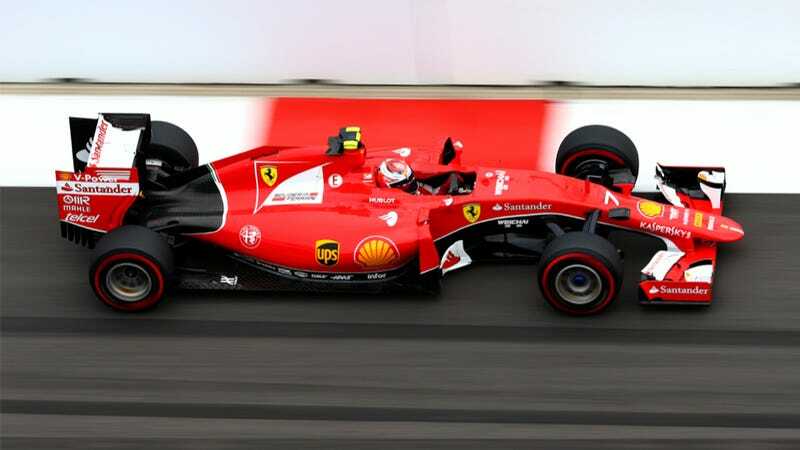 Fiat Chrysler, which is selling off 10% of Ferrari to the general public and spinning about 80% off to its own shareholders, expects to price the company between $48 and $52 a share upon the initial offering, which would value the company at about $10 billion. And if the banks doing the deal get it done right, it should see a 20% pop by the end of the day, putting the company at $12 billion, which is enough to buy 400,000 very lightly used Ferrari 308s. Or 8474.57627119 LaFerraris. We’ll assume the .57627119 is for a very nice sandwich, or something. It was originally a northern English word with the sense ‘rapid forward movement,’ which gave rise to the senses ‘contest of speed’ (early 16th century) and ‘channel, path’ (i.e., the space traversed). The verb dates from the late 15th century. Though it doesn’t beat CRAP.